Ananda Corporation has more than 900 top quality pure fragrance oils. We carry a wide selection of Imported Fragrance, Essential oils, Natural oils, Aroma diffusers, Bottles, Bath & body products. 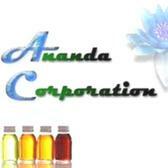 Ananda Corporation the one source for all of your Fragrance and Aroma Vials needs.